Successful companies place their values at the core of everything they do. Take IKEA’s Vision “To create a better every day for the many people”. Implicit in this brief statement is IKEAS’s commitment to creativity, improvement, and affordability. So, do YOU know your values? 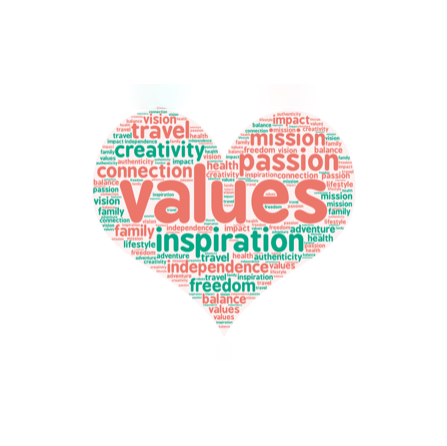 Do you know your organisation’s values? On average when I work with teams, I find a minority will know their own personal values. Some will remember a couple of the organisations’ values, common ones being – respect and integrity. These are great values for sure, however, there are many others which can help strengthen a team. In addition, all those in a team will claim that they are respectful, and honest. But ask them if they think every individual in the team is respectful and honest they will no doubt disagree. So where does that leave us? With a limited set of values which are often meaningless if there is no evidence that a team is living by them. Walking into any organisation I would expect to see values in action. Take respect, a fundamental value for many organisations. Do people welcome me when I arrive, am I kept waiting? Am I offered a cup of tea? When I sit on a team meeting, do people interrupt each other? Does everyone have a voice? Are people on their phones? What is the body language like? Is there any eye rolling, side glances, lack of eye contact? When an organisations’ values are being lived and breathed you will see them in people’s behaviour. However, it takes integrity on a leader’s part to first model these behaviours, and secondly it takes bravery to weed out the behaviours that are not congruent with the organisation’s values. This is the tricky part. How does a manager call out disrespectful behaviour? Values do not always benefit us? On the whole our values act as a positive steer, helping us to make good choices. However, they can also sabotage our happiness and effectiveness. For example, loyalty is a value, associated with someone you can trust and depend on. Great for the organisation who has a loyal employee, but what if the employee has out grown her role? What if there is nowhere for her to move on to within the organisation? However, because loyalty is an important value to her, she remains in her post prohibiting her development. In addition, if she is sticking to the organisation out of loyalty but not out of fulfilment, then it is likely that she will get bored and even resentful. Consequently, this value neither serves or benefits the individual or the organisation. Values will inform the direction of the business and behaviour of staff. They need to be woven into a Vision and Mission statement. Most importantly, there needs to be clear evidence that the organisation is working in accordance to the values and not just paying lip service to them. It takes time to find a set of values which everyone can relate to, and it takes courage and commitment to adhere to them.